With more than 40 years of experience as a physician in New York, Taiwan and Shanghai, Dr. Carenia Kuan is an expert in newborn care, childhood preventive medicine as well as the diagnosis and treatment of pediatric diseases, with a focus on children’s respiratory health and asthmatic and allergic conditions. 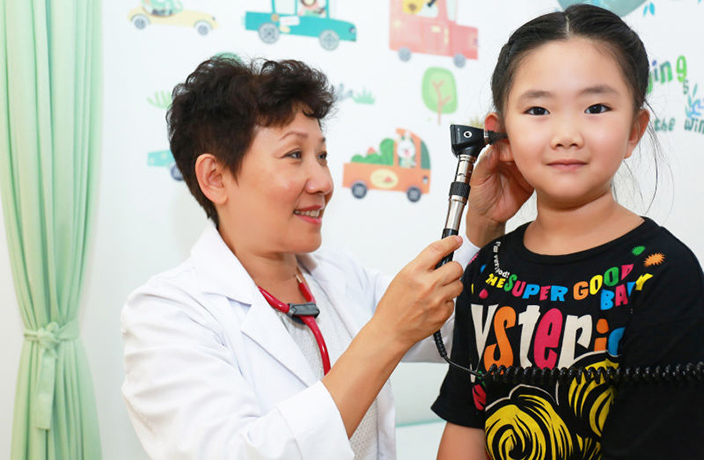 Currently serving as the Chief of Pediatrics at SinoUnited Health Clinic, Dr. Kuan shares why she chose this medical specialty, her experience of working in the US and China, and why she enjoys working with her young patients and their families. You’ve been practicing pediatrics medicine for over 40 years. Why did you choose this specialty in the beginning? I was trained initially as an internist and practiced in this field for a couple of years in Taiwan. As a young mother at that time, I was frustrated as to why my firstborn was always crying and sick, so it motivated me to learn more about pediatrics, and I eventually switched specialties. As a pediatrician, I’m not healing the patient by myself, but their families are also involved and are working hand-in-hand with me to reach the best outcome for their children. But perhaps the most rewarding thing is knowing that once my patients are cured, they have so many promising years and decades ahead of them. You’ve worked for many famous medical institutions in New York before moving to Shanghai. How would you compare the experience of working in these two places? In the US, the whole society is very devoted to healthcare, and has been for decades. There’s already a very well established system, structure and standard of practice for the medical industry. In China, on the other hand, privatized medical organizations are still relatively new, and the most exciting yet challenging thing is that we’re building all of that from the ground up while navigating through local policies and the newest medical and local market trends to serve our patients. Can you tell us why did you decide to move to Shanghai 12 years ago? I first came to Shanghai to visit a friend back in 2004, while I was still working at the NYU Downtown Hospital. One day, our neighbor’s young son was running a high fever, and they asked me to go and take a look at him. From speaking to the parents (who were from Thailand and Germany), I realized there was a severe shortage of pediatricians serving the city’s expat community. So I visited Parkway Health and met an American doctor named Morgan Jenkins. His decision to leave his high-paying job in San Francisco (UCSF) to serve the Shanghai community really touched me. So in 2006, I decided to move here and joined Dr. Jenkin at Worldlink Pediatric Department. What are some of the most common cases that you treat here in Shanghai? Due to the high population density, and the fact that expat families usually travel quite often, we treat a wide array of diseases from many geographical origins. It’s something that I have not seen in my many years of practicing in the US. But since respiratory diseases are my specialty, I have been treating many allergies and asthma cases in Shanghai. What was the most memorable case that you treated in Shanghai? I had a case around two years ago where an expat family delivered their baby here in Shanghai at another institution. Ever since he was born, he’d been in and out of the hospital with different illnesses for two years, and the child was always very scrawny, pale and thin. Though he wasn't my patient at first, I’d noticed them coming in all the time, and approached the mom to offer to give her son an in-depth check-up. After running blood tests and ultrasounds, we found out that he actually had a swollen kidney with fluid retention (hydronephrosis) that could’ve exploded at anytime. We immediately arranged for a specialist to perform surgery to drain the excess fluid. It was a complicated operation, but in the end, he recovered very well. I always use this case to teach my physicians the importance of looking beyond the surface symptoms, and establishing good communication with other doctors from other specialities, and working as a team to provide the best care for patients. Can you tell us about your team here at SinoUnited Health Clinic and what you hope to achieve at the clinic? 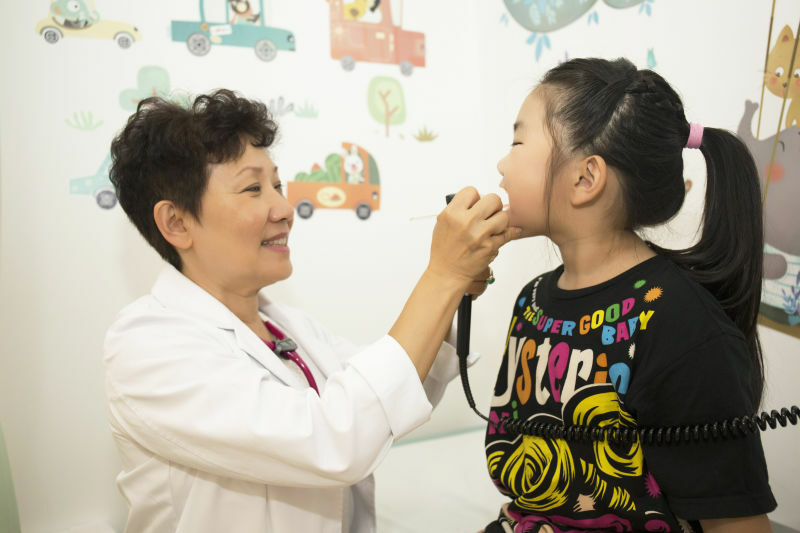 I’ve been working in Shanghai for 12 years and practicing as a pediatrician for 40 years. Last year, when I was invited to join SinoUnited Health Clinic by Dr Kathy Shi (CEO of SinoUnited Health Clinic), I promised her that I’m going to share my knowledge, set up guidelines, introduce international medicine styles, bring in the American Academy of Pediatrics most current rules and regulations, and train a professional team – that’s one of my goals. I’d also like to focus more on preventive medicine, as I believe treatments shouldn’t always be the end goal, but promoting a healthy lifestyle to the kids and making their parents aware is just as important. Starting this month, when all the international schools reopen, we plan to host regular coffee gatherings with parents at the clinic to talk about different health-related topics, including diet, exercise and health promotions for children of all ages. What's the cost of convenience? Your health, perhaps. Infographic: Just How Much Fat is in a Mooncake? You'll never want to eat mooncakes again. Saucepan founder about to launch new clean meal plan concept REVO. These life saving machines can largely raise the chances of surviving a heart attack. The latest video from local comedy group Mamahuhu.